BALL Watch USA Honors Astronaut That Took BALL Watch Into Space! 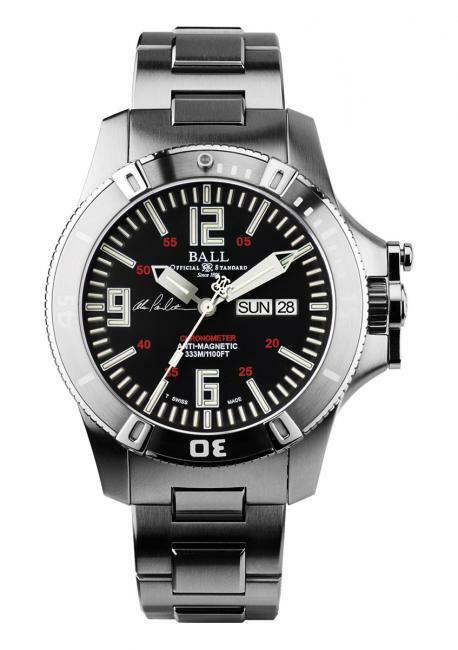 The history of Ball Watch goes back to the early days of railroads in America. A standardized measurement of time was important for railway companies, probably more important than anyone else at that time. In 1883, they were the first to agree, at least among themselves to divide the nation into four timezones and have adopted Standard Time. The public followed suit, but took Congress another 25 years to officialize it. It was following a railroad tragedy, where two trains collided, cased by the failure of the watch of one of the engineers, that the railroad officials commissioned Cleveland, Ohio jeweller Webb C. Ball to be their Chief Time Inspector. Webb C. Ball set about immediately and put in place fortnightly checks on the watches worn by all railroad workers. The checks were carried out by approved watchmakers. Ball set strict standards, forbidding variations more than 30 seconds among the watches. It was his system that resulted in railroad time and railroad watches being recognized as STANDARD, whenever accuracy in time was required. In general, it became accepted that when the average person asks a railroad man the time, he is assured a correct answer. The firm was family owned by direct descendants until the 1990s when the right to use the name was sold. The new firm continues the tradition, using Swiss-made (primarily ETA) movements and making watches for sportsmen and even for some small railroads. BALL Watch announces the release of a new Limited Edition watch (1,000) The Engineer Hydrocarbon Spacemaster Captain Poindexter. 80 tritium micro gas tubes on hour, minute and second hands and dial for unmatched luminosity. Shock resistant to 7,500Gs, antimagnetic to 12,000 A/m and water resistant to 333m/1,100ft. As the Captain of the Shuttle Discovery in April of 2010, Poindexter wore the Engineer Hydrocarbon into space and the International Space Station. Tragically, in 2012 Poindexter died in a jet-ski accident in Florida leaving his wife and two sons behind. One son, Samuel Pheiffer Poindexter suffers from severe autism and is in need of care 24 hours per day. BALL Watch is contributing a portion of the sale of each Limited Edition watch towards the Samuel Pheiffer Poindexter Special Needs Trust to assist in his care.